The Bush sisters wrote a beautiful letter to Sasha and Malia Obama as they prepare to leave the White House. 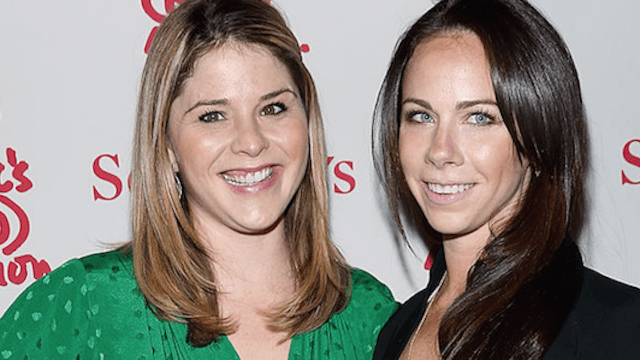 Former first daughters Jenna Bush-Hager and Barbara Bush wrote a touching letter to Sasha and Malia Obama as they prepare to move out of their home of eight years. The Bush twins, who first visited the White House in 1989 when their grandfather George H.W. Bush was elected President, know better than anyone what it feels like to transition out of life at the nation's most famous address. The letter was published by Time. The letter began with the Bush girls reflecting on the time they first met the Obama sisters back in 2008. Their father was just elected, and the twins wanted to give Sasha and Malia an official tour of their new home. The letter goes on to discuss all the amazing things Sasha and Malia have done while their father served as commander-in-chief. You attended state dinners, hiked in national parks, met international leaders and managed to laugh at your dad’s jokes during the annual Thanksgiving turkey pardon, all while being kids, attending school and making friends. We have watched you grow from girls to impressive young women with grace and ease. Obligatory GIF of Sasha & Malia humoring their dad at the turkey pardon. Jenna and Barbara advised the Obama sisters to keep in contact with those who they have met while living in the White House— be it florists, teachers or the secret service who kept them safe for the past eight years. They also poked a bit of fun at themselves by telling them to enjoy college as much as they did (Jenna and Barbara both were arrested for alcohol-related charges twice within 5 weeks in 2001). Malia Obama is set to attend Harvard, her parent's alma mater, in the Fall. Happy Father's Day to two great ones. The Bush sisters urged Sasha and Malia to take what they've learned over the last eight years and to use it to make a positive change in the world. After all, if there is anyone who understands what it means to be a former-first kid, it's the Bush girls. To read their lovely letter in full, click here.